To be clear going in, I’m going to limit myself to a discussion of science fiction and fantasy classics, since those are the genres I’m most familiar with. Contemporary novels are not my forte and I barely read any of them, so I don’t feel qualified to talk with them in context. I mean, I could kind of talk about novels such as Wuthering Heights and North & South, and David Copperfield etc (which I’ve read), but I’m completely out of touch of any kind of a discussion involving these works. In a way, that is what this editorial is going to be about, and I’ll even segue into reading tastes/preferences. The same goes for stuff like Dan Brown’s various novels, or The Famous Five or crime/thriller novels or what have you. This entire blogpost sprung out of a discussion I had over the weekend with a blogger friend on Twitter. 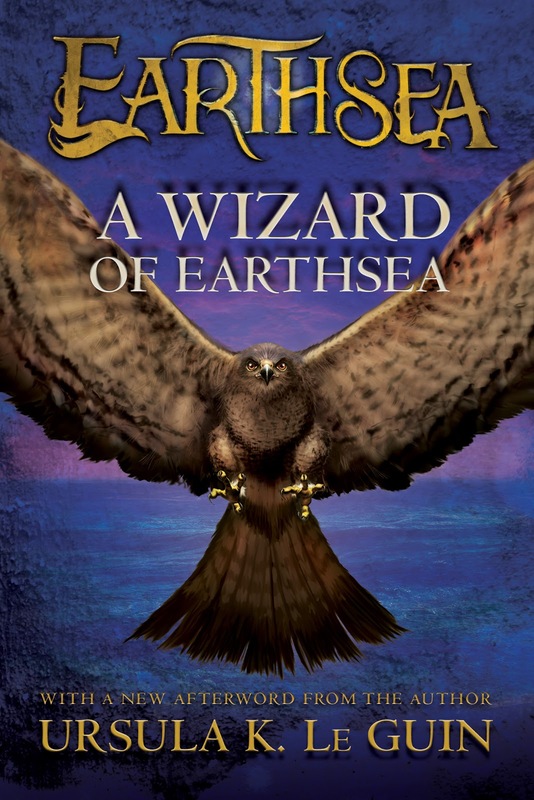 We were talking about Ursula K. LeGuin’s A Wizard of EarthSea at the time. I was working on my review of the novel, and I had chanced upon the fact that of all my Goodreads friends who have read the novel (some 25+ of them), no one had actually reviewed it, not even a word. Just ratings. My friend was of the opinion that “its such a classic novel and yet no one seems to re-read it”. I found the idea to be a very curious one, because it contrasted with the “reality” on Goodreads since there are thousands of reviews of the novel there. I mean, I do realize that most of those people undoubtedly posted their reviews after reading the novel for the first time, and so that can’t be considered here, but what can be considered, to segue a little bit, that a classic novel like that still has an appeal, that people today are finding about it and going off to read it and then posting their thoughts. But let’s take things into a meta-perspective and answer some important questions, questions that people will no doubt have. What is a classic? Is it defined by the time-period, or by its effects on the genre regardless of when it was written? Or is it a combination of both? I don’t think there is an easy answer to this one because it can go either way or even be a mix. Novels such as Dune, 2001: A Space Odyssey, A Wizard of EarthSea, Frankenstein, A Journey To The Center of The Earth, The Lord of the Rings, etc, etc are clearly classics. They were all written decades ago, by some of the biggest names in the publishing industry, names that in those days were as the Sandersons and Hamiltons and Rowlings of today. But then again, these biggest names are what I would call the “Old Masters”. Frank Herbert, Arthur C. Clarke, Isaac Asimov, H. P. Lovecraft, Ursula K. LeGuin, Mary Shelley, Jules Verne, J. R. R. Tolkien and others of their ilk were all writers who were really pushing the boundaries of speculative fiction in their times. Even Gene Roddenberry deserves a mention here for the legacy he gave birth to in the late 60s, something that became a cultural and generational phenomena and is still alive today. These Old Masters in their time were taking some huge chances with storytelling and they were defining the genres they were writing in. They were essentially all trailblazers, laying out the groundwork for those who would inevitably follow in their footsteps, whether they were emulating these earlier successes or building upon all the new “quirks” of science fiction and fantasy. And these are the writers I would call the “Middle Masters”. 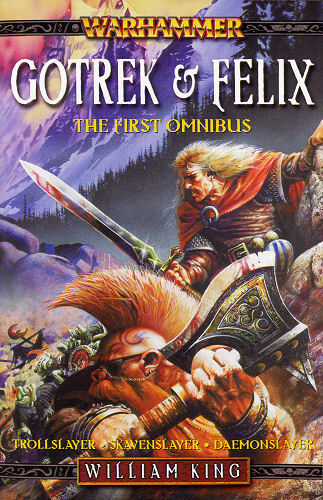 These include writers such as Raymond E. Feist, R. A. Salvatore. Ed Greenwood, Iain M. Banks, Timothy Zahn, Kevin J. Anderson, Robin Hobb, Margaret Weis, Kate Elliott and many others. These are the writers who came to shape the legacy of the Old Masters and solidified what had come before through their own works. They published in the late 70s, the 80s and the early 90s. Their writing made for a big cultural shift in speculative fiction and they essentially gave us the most familiar forms of science fiction and fantasy: space opera and epic fantasy. It was in these years that these two genres became so easily identifiable and recognisable. Whether on television or in movies or books, these two subgenres were exploding like anything. Space opera has do with hot shot pilots, malicious aliens, benevolent aliens, first contact, galactic empires, space battles, etc, etc. Epic fantasy has to do with chosen ones, elves and dwarves, dragons, magic, end of the world prophecies, kings and queens, etc. For an entire generation of people who grew up reading the works of these authors, we have to the readers of today, readers who are influenced by “tropes”. The old masters gave us the seeds of these tropes. The middle masters gave us the trees that grew from these seeds. And in their footsteps have followed writers I would call the “Young Masters”, writers who have harvested the fruits of the labours of those who came before and continue to do so. These are the writers who got their breaks from the late 90s on, all the way to today. J. K. Rowling, Janny Wurts, Brandon Sanderson, Dan Abnett, Graham McNeill, James Swallow, Paul S. Kemp, Matt Forbeck, Nathan Long, William King, Martha Wells, Jean Johnson, Juliet E. McKenna, Elizabeth Bear, Elaine Cunningham, and many others are the names here. These are all writers who have already been writing for a number of years. Joining them in continuing to redefine science fiction and fantasy are writers like Wesley Chu, Anne Lyle, Teresa Frohock, Elspeth Cooper, Zachary Jernigan, Sarah Cawkwell, Chris F. Holm, Jeff Salyards, Chuck Wendig, Selso Xisto, Lee Collins, Myke Cole, Jason M. Hough, Liesel Schwarz, Aliette de Bodard, Stephanie Saulter, Evie Manieri and many, many others. Or at least, the names I am very much familiar with. There are many more that I could list of course, but I’m not aiming for a comprehensive list here, just a few samples here and there. In all this expository detour, I haven’t really touched on my question, because I was aiming to provide some sort of a context for the discussion first. Now that that is established, let’s move into the heart of the matter. For me, the definition of the word classic is something that has stood the time and can still excite readers years after it was first written, something that has touched generations of readers. In that sense, the Old Masters and the Middle Masters definitely have the advantage, while the Young Masters are still living through those times, still leaving their mark for a generation of readers who are hyper-connected and hyper-aware of everything. But they are all still capable of writing classics as much as the writers who have come and gone before them were. That definition is purely mine and it may differ for you. For example, you might consider Sanderson’s Mistborn: The Final Empire to be a classic of the genre. I personally don’t. That’s aside from whether or not I think it is a good novel (I think it is one of the best novels I’ve read this year, which, if you’ve followed my reviews this year, you’ll know is saying a lot since I’ve read some truly amazing novels this year). But a classic, I don’t think it is one. Going back to my question earlier, a classic is first and foremost a piece of fiction that has affected multiple generation of readers. That really is the only criterion that I think matters. 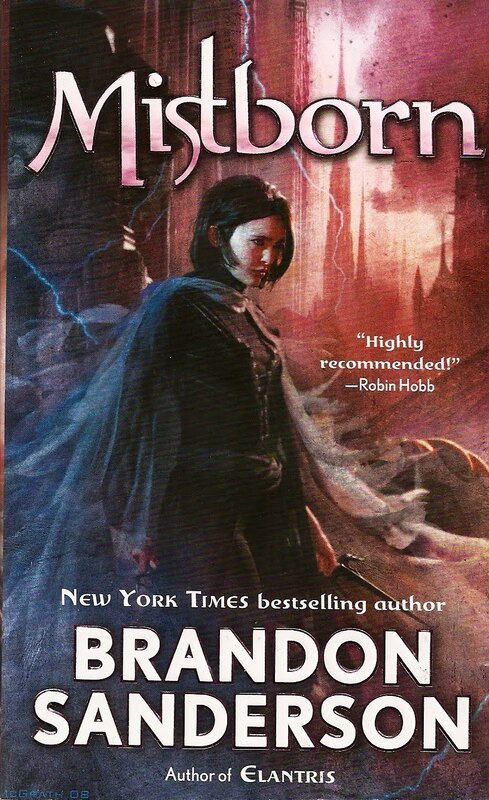 10, 20 years, or more from now, Mistborn: The Final Empire may well become a classic. It certainly has a huge fan following, and that in itself is saying something in this day and age. We live in an era where the concept of tropes reigns supreme. In an era where selfpublishing has become as easy as going to the supermarket for groceries. All you need now is to have a piece of fiction written, internet access, a cover and some basic computer literacy. That really is it. Leveraging all of that properly and efficiently is much more difficult of course, as is getting that piece of fiction written in the first place (which is the most arduous part of the process undoubtedly), but that really is it. The combination of these factors means that readers are much more discerning these days then they ever have been before. We have the number of review blogs going up each day. People are more critical these days. The conferring of a classic isn’t so easy these days. Not to say that it was particularly easy in the old days. Its just that this is the age of imitation and coming up with something groundbreaking is a lot harder than it looks. Something like Teresa Frohock’s dark fantasy Miserere: An Autumn’s Tale might well become a classic in a few years. Something like Elspeth Cooper’s heroic fantasy with disabled characters, the Wild Hunt series could be the same. Or Wesley Chu’s contemporary SF thriller The Lives of Tao. 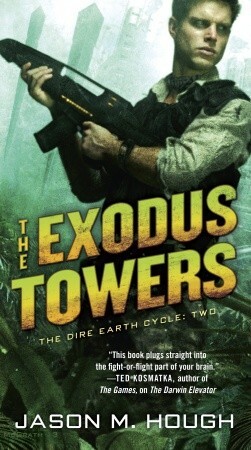 Jason M. Hough’s near-future SF Dire Earth Cycle series. Matt Forbeck’s near-future contemporary SF Amortals. Anne Lyle’s Night’s Masque historical fiction. Jean Johnson’s Theirs Not To Reason Why, a far-future military space opera series. The list goes on and on. These are all novels that are still finding their audience. These are writers who are still working to cultivate that tree that will make them a household name down the years. They have yet to achieve that title of a classic. These writers still have to affect different generations of readers, 10, 20, 30, more years from now. So, we go back to the core concept of this post: are classics re-readable? I like to think so. At a personal level, I re-read Dune Chronicles, Foundation, The Lord of the Rings, Dragonlance, and a few other series every few years. My re-reading of Dune and Dragons of Autumn Twilight this year marked my fourth read-through of those series in the last 12 years. I’ve read The Lord of the Rings twice in that time period, and I’ve even read through Silmarillion and The Unfinished Tales multiple times. I’ve read the Foundation and the Robot novels at least three times for that same period. I enjoy these novels and I’m always up for a re-read. I’d already have read through the original Dune trilogy and the Dragonlance Chronicles trilogy this year if I wasn’t doing so many reading challenges and trying to read far more of the new novels I haven’t had a chance to read rather than reread the same things again and again. My planned read-through of The Lord of the Rings is pretty much supposed to be right now, but I’m caught in my drive to read all this new material that is coming out every week and I can’t even keep track of. For me, it isn’t that classics are not re-readable. They very much are. Its just a matter of finding time to read all of them! What does a classic mean to you? What kind of books would you call classics? Which classic novels have you read and reread in recent years? Should a classic be a novel that should be relevant to readers 10, 20, 30 years after it was first published? Should it be something unique that stands the test of time or something that is rooted in the tropes of the genre and is a fine example of how those tropes should be used rather than the opposite? 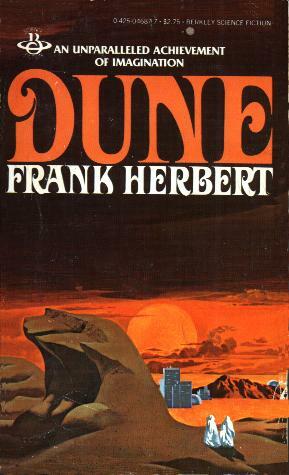 Apart from Iain M. Banks’ first Culture novel, Consider Phlebas, I have still to read a novel that can match the vision of Frank Herbert’s Dune. Apart from C. L. Werner’s Dead Winter (published last year), I cannot recall any “classic” that portrays political intrigue in a fantasy setting so well, outside of perhaps G. R. R. Martin’s Game of Thrones novels which I haven’t read but for which I’ve seen the television adaptation. Nathan Long’s Jane Carver of Waar sword-and-planet duology, which takes inspiration from Edgar Rice Burroughs’ John Carter pulp novels, I can see future-me reading them years from now, and still reveling in the plot and the characters and the setting. Timothy Zahn, who wrote the first Star Wars tie-in novels ages ago and is someone who falls under the Middle Master classification is matched only by the likes of Troy Denning, Paul S. Kemp, Martha Wells, and James Luceno. The great things that William King, Graham McNeill and Dan Abnett did in the early days of Warhammer 40,000 tie-in fiction is matched by the new crop of Black Library authors like David Annandale, Sarah Cawkwell, Rob Sanders and Guy Haley. The great things that Nathan Long, Gav Thorpe, C. L. Werner and William King did for Warhammer Fantasy are matched by what old-hat Ben Counter, David Guymer and others are doing right now. To go back to Paul S. Kemp again, his swords-and-sorcery novels for Angry Robot Books remind me very much of Robert E. Howard’s Conan fiction. And these kinds of comparisons go on and on. These are all writers whose work I find rereadable, even when I don’t particularly like some of their work, as is the case with Ben’s first Soul Drinkers trilogy. Its just not good, but I keep returning to it whenever I get that Soul Drinker itch and just can’t stay away. By this point, I think I have blathered on enough. I’m not even sure if I’ve arrived at any kind of a conclusive answer to the question of “are classics re-readable?” Some people will just say that it all depends on whether or not like you like the novel(s) in question. And they are right. Its a perfectly valid reason and one that I agree with. I just keep thinking that there’s more to it all than just. What’s a classic to one person isn’t so to others. There are quite a few friends of mine who find Frank Herbert unreadable, who think that Isaac Asimov was barely competent, who think that Ursula K. LeGuin isn’t all that she’s made to be. And so on and on. Different strokes for different people. And the question remains unanswered. 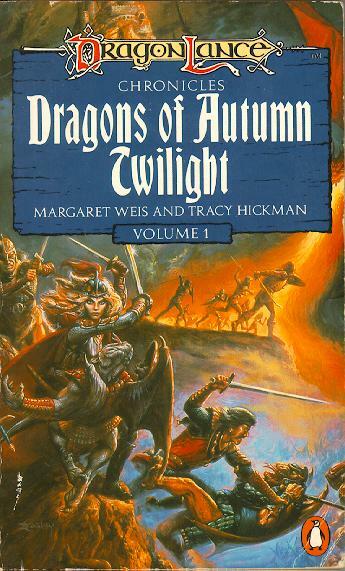 Posted on October 3, 2013, in Editorial and tagged 2001: A Space Odyssey, Aliens, Arthur C. Clarke, Classics, Consider Phlebas, Crown of the Stars, Dragonlance, Dune, Editorial, Epic Fantasy, Erevis Cale, Fantasy, Forgotten Realms, Frank Herbert, Game of Thrones, George R. R. Martin, Gotrek & Felix, Graham McNeill, H. P. Lovecraft, Iain M. Banks, J. R. R. Tolkien, James Luceno, Jane Carver of Waar, Janny Wurts, Jaran, Jean Johnson, Jules Verne, Kate Elliott, Martha Wells, Mary Shelley, Matt Forbeck, Military SF, Myke Cole, Nathan Long, Paul S. Kemp, R. A. Salvatore, Raymond E Feist, Riftwar, Sarah Cawkwell, Science Fiction, Silmarillion, Space Opera, Star Trek, Star Wars, Swords and Sorcery, Teresa Frohock, The Lord of the Rings, Timothy Zahn, Ultramarines, Ursula K. LeGuin, Warhammer 40000, Warhammer Fantasy, Wesley Chu, William King. Bookmark the permalink. 5 Comments. For me, “classics” are completely rereadable, and i love rereading books I enjoyed when I was younger, and older scifi books that came out before I was born. I feel your pain about not having enough time. There’s so much shiny new stuff on my coffee table, why would I want to read a scrudgy old Hal Clement? LOL, I say completely readable and completely rereadable, but i’ve read older books that were awful, and reread stuff that I loved when I was younger and now it doesn’t feel as fresh. Certainly readable and rereadable, but that doesn’t mean I’ll have the same experience again, or the same experience as someone who read A Princess of Mars the year it came out and had never read anything liek that before! I haphazardly assign a date to allow something to be classic. if it’s older than me, it’s vintage/classic. I have one bookcase in my house reserved for my personal classics. Dune, Lord of the Rings, The Snow Queen series, and Magician sit beside my childhood favorites The Chronicles of Narnia and L. Frank Baum’s Wonderful Wizard of OZ series to name a few. A book is a classic in my house if it earns a space in that case. If its there, its special to someone in my family. I reread Dune about every 5-6 years. LOTR almost every year. Non SFF like Angela’s Ashes, The Red Tent, Agatha Christie, and Sir Arthur Conan Doyle also found a home there. My son recently added both his Harry Potter and Eragon series to this place of honor. I agreed; both series are instant classics. Books we will read again and again. So, in our house, the definition of a classic is pretty personal. However, if it earns a spot in that bookcase, and is deemed a “classic” by my family’s Board of Directors, it seldom gets very dusty. Classics are reread. Of course, the experience is different. Its sort of like the feeling of excitement of a first time love (your inital reading experience) versus the bliss of spending time with an old friend (the reread). Both are very satisfying, each in their own unique way. “family’s Board of Directors”. I love that. Its great to see how everyone makes the judgement on what is a classic. Like I said in the post, I try to re-read the “classics” when I can. Its just a matter of fitting them into my reading list, because I want to read more new material all the time. But yeah, classics will always have a special place for me on my shelves. They are the books I can re-read anytime because they are all, first and foremost, fun. That’s really all that matters in the end, I think.